5 reasons to book vietnam tours with us? Luxury is not luxury any more if your interest is not satisfied. Please feel free to develop your own tour itinerary with our Vietnam tour experts. They have at least 8 year exprience as tour guides and tour leaders. They saw the troubles of booking wrong Vietnam tours that many tourists had before. 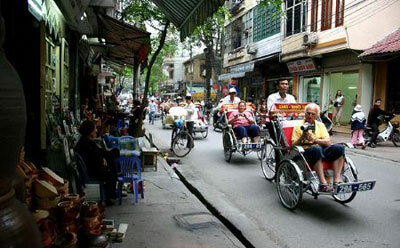 The foreign salers' the poor knowledge on Vietnam destinations have been continually making these troubles. Please feel free to tell your interests and health conditions to our Vietnam trip advisor when booking any Vietnam tours with us. Our friendship and trust play a key role in your travel enjoyment. Our Vietnam tour experts completely focuse on sharing their intricate knowledge of the region. We will help you to experience real Vietnam with ultimate luxury trave style or adventure style. If you select your own itinerary, you will have more flexibility as you travel. Your movement is not dictated by the demand of a group. For example, one morning you want to spend an extra couple of hours by the pool. That is your decision to make. You have the support of our guide and the professionally delivered travel plans we have put together for you. When travelling with LUXURY VIETNAM VACATION, you have the confidence of knowing that your tour guide finished the universities of tourism with tour guide lisence issused by the national tourism department. All our guides have at least 5year experience with good sense of humour. They are informative, open, friendly and totally delicated to ensuring you enjoy your travel. As all our guides are local, they can introduce you to the true face of the destinations. Our guides take you off the tourist path and allow you to experience people, places, sights that amaze you. As an independent Vietnam tour operator, our company is not tied to any brand names or allegiances. Therefore, you can totally trust our recommendations: all ground travel services and destinations are personally checked by us every three month and also based on your feedback. Being one of the leading Vietnam tour operators, we build direct contacts with airlines, hotels, ground operators so that we could offer a full comprehensive travel service at compatitive rates. 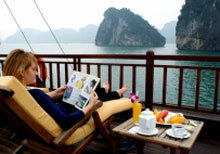 What we have done is to make your Vietnam vacation special and exceptional. We hightly value your business and work for coming customers recommended by you. This is our fortune and our life. 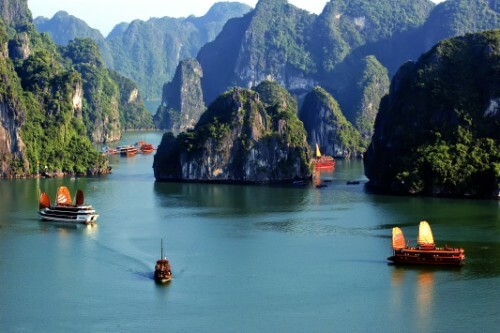 Book luxury Vietnam tours with us for the highlight of your lifetime travel. When traveling to a new country, our customers need friendly and accurate advice during their trips. Please feel free to contact us at any time of the days through emails, website forms or our travel expert: +84(0)983052597. We understand our duty does not finish until you safely return home. Copyright ©2009 for Vietnam tours. All Rights Reserved.